Gloria Mar restaurant in Pamporovo ski resort in Bulgaria. 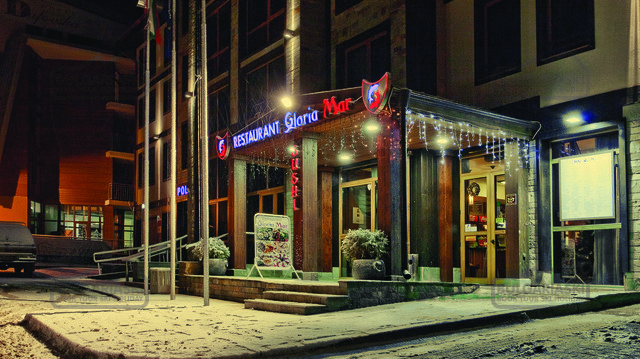 Gloria Mar is a stylish Bulgarian restaurant chain, with a high quality cuisine, excellent service and elegant interior. You can make a reservation at +359 893 55 00 55 to make sure that your table will be waiting for you and your company, right on time for dinner. 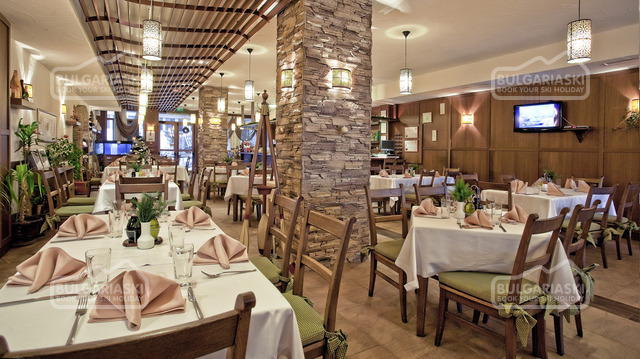 Menu: The specialties at Gloria Mar offer rich taste and aroma and are a real culinary inspiration. The menu is highly varied: exotic seafood, black sea fish, sushi, fresh pasta, beef steaks, traditional Bulgarian dishes and delicious pizza. Special attention should be paid to the desserts, prepared by real masters of the confectionery. The food is prepared according to all standards of the culinary art with carefully selected, high quality fresh products. The wine list offers a rich selection of first class Bulgarian and imported wines. 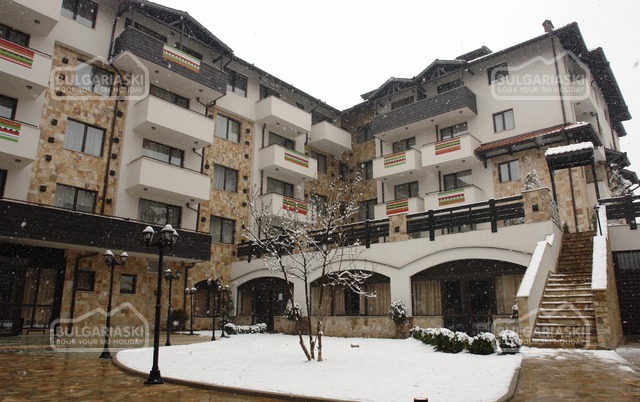 Location – Gloria Mar, Pamporovo is located in Pamporovo VIP residence in the centre of the resort. The high class of Gloria Mar is completed by a professional service with a special care and smile. Your experience will be complete with the wide landscape view of Gloria Mar Restaurant's terrace, combined with a glass of wine and apples. 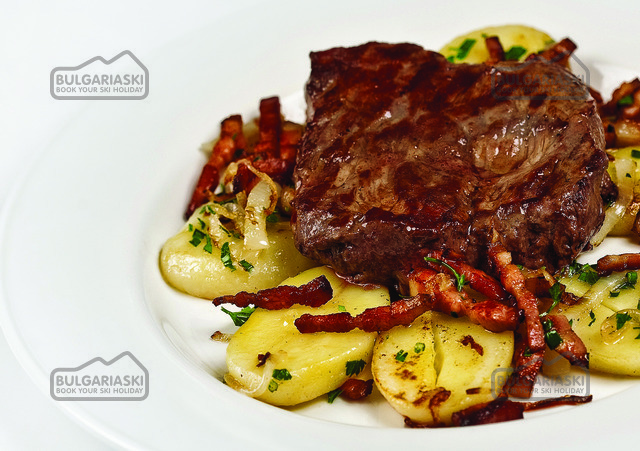 BulgariaSki.com highly recommends Gloria Mar restaurant as one of the best restaurants in the resort. Free transport can be arranged to and from the customer’s hotels. 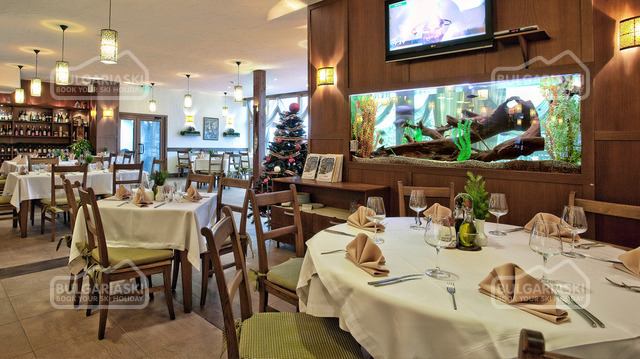 Please, post a comment on Gloria Mar restaurant.